40 or so things you really need to know about. Like feline whisker fatigue. Get KGB Report via email every day! Click here to subscribe. Today is Wednesday, June 14, the 165th day of 2017 in the Gregorian calendar, with 200 days remaining. This is the 146th day of Donald Trump's presidency. There are 1,316 days remaining in his term, assuming he doesn't resign or is otherwise removed from office. Today is Trump's 71st birthday. He was born on June 14, 1946. 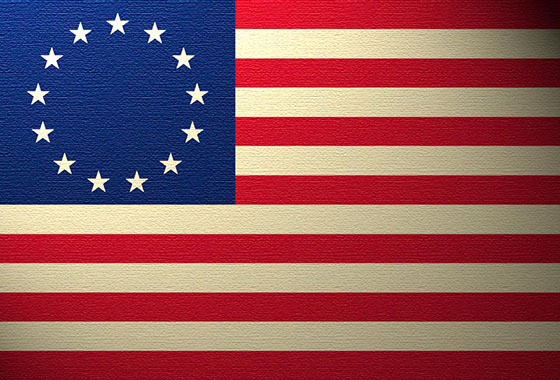 On this day in 1777, The Stars and Stripes was adopted by Congress as the Flag of the United States. Today is Flag Day in the United States. Among other things, today is also National Strawberry Shortcake Day. Florida man avoids more prison time for Clinton Foundation hack attempt. Why it was easier to be skinny in the 1980s. To be honest, they don't know. But a person with the same food intake and exercise level today weighs over two pounds more. I blame cable news. The aftermath of a deadly mushroom bloom in California. A surge of death-cap poisonings might provide the data to save future victims. Lee Camp: How to Write Propaganda for the NY Times. The Times pisses off left-wingers as well. After a relentless three-year ascent, large bellwether companies like Apple, Facebook, Google and Amazon led a two-day sell-off, prompting fears of a wider stock market retreat. Yahoo, one of the founding companies of the Internet era, is no more. Are cats smarter than dogs? Experts waffle. There's evidence they may be tastier. Letter shows Jeff Sessions' plan to prosecute medical marijuana providers. In a letter he wrote to Congress back in May, which was obtained by the news site MassRoots.com and published on Monday, Sessions requested that congressional leaders help him in his battle with legal cannabis by letting him essentially override state marijuana laws. Congressional leaders would do this by agreeing not to renew a current federal law, the Rohrabacher-Farr amendment, which prevents the Justice Department from interfering with medical-marijuana decisions made at the state level. Finally, some good news. Urban legends to the contrary, the chances of you swallowing a spider while sleeping are slim to none. But we're not completely out of the woods. According to the FDA, there is an average of 60 or more bug fragments per quarter pound of chocolate. Peanut butter has 30 or more insect fragments per quarter pound. Everything you eat likely has critter parts in it. JPMorgan Chase pulls Megyn Kelly ads over interview with Alex Jones. Kristin Lemkau, chief marketing officer, tweeted earlier on Monday that "as an advertiser, I'm repulsed that @megynkelly would give a second of airtime to someone who says Sandy Hook and Aurora are hoaxes." Indeed, it seems nobody wants NBC to air Megyn Kelly's Alex Jones interview, not even Alex Jones. Religious liberals sat out of politics for 40 years. Now they want in the game. Faith leaders whose politics fall to the left of center are getting more involved in politics to fight against President Trump's policies. Russian cyber hacks on U.S. electoral system far wider than previously known. Pre-election hacking was far more widespread than has been publicly revealed, including incursions into voter databases and software systems in almost twice as many states as previously reported. Hearing aids at the mall? Congress could make it happen. Bipartisan support for a bill that would remove the audiologist middle-man and permit over-the-counter hearing aid sales at a fraction of the cost. The liver: a 'blob' that runs the body. The underrated, unloved liver performs more than 300 vital functions. No wonder the ancients believed it to be the home of the human soul. Well, there's your problem... your kitty has "whisker fatigue." Senate Republicans back off proposed restrictions on media. Senate Republicans on Tuesday quickly backed away from a proposal to restrict media access in the Capitol after an angry backlash from reporters and an emergency meeting between the Senate Rules Committee and the media gallery directors. Reza Aslan, Kathy Griffin and Bill Maher: TV takes offense- selectively. Aslan and Griffin lost their jobs. Not so Bill Maher. EpiPen maker faces revolt over exec's $98 million pay package. A new study of wireless carriers has bad news for Verizon. Drug that creates a 'real sun-tan' could eliminate need for cancer-causing sun exposure. Swell. E-cigarettes potentially as harmful as tobacco cigarettes, study says. UConn researchers found that e-cigarettes loaded with a nicotine-based liquid are potentially as harmful as unfiltered cigarettes when it comes to causing DNA damage. Even sweller: Eight-year study finds heavy French fry eaters have 'double' the chance of death. But the researchers warn the cause of increased mortality may be the result of a whole lifestyle of choices surrounding heavy fries consumption. Kindly Senators try to help confused elderly gentleman who wandered into Capitol building; Man ravaged by amnesia somehow able to hold down demanding legal job; Jeff Sessions tries to distract Senate intelligence committee by reminding them he's a racist. The questions Sessions left unanswered. He defended himself against what he called "scurrilous and false allegations" related to Russia. But he repeatedly refused to answer senators' queries. If you're in New York, The Daily Show's Donald J. Trump Presidential Twitter Library opens Friday. Located at 3 West 57th Street near Fifth Avenue, a convenient stone's throw from Trump Tower, admission is free and open to the public between 11 AM-7 PM ET. What stops Republicans from behaving rationally? Unlike Senate and House Republicans during Watergate, there are few genuine leaders of principle whose sense of propriety is offended by Trump. The moral and intellectual quality of the current crew of Republicans pales in comparison to the type of Republicans who finally told Richard Nixon the jig was up. Trump administration grants work permits to thousands of illegal immigrants. Tens of thousands of undocumented immigrants have been granted work permits by the Trump administration under an Obama-era deferred-action program that President Trump had promised to end on his first day in office, according to federal data. Trump had called the Deferred Action for Childhood Arrivals program an "unconstitutional executive amnesty" during his campaign. But statistics from U.S. Citizenship and Immigration Services released last week showed that more than 17,000 new DACA applicants were approved for the program in the first three months of 2017. 'I have no idea': The White House's spokesmen aren't speaking much these days. Five questions about Melania Trump's move to the White House. Broad City will bleep out Trump's name next season. Ivanka Trump uses only the finest, most downtrodden sweatshop labor to make her clothes. Trump is making America more hostile and mentally ill: New England Journal of Medicine study. But then again, A bad mood could be good for you. Trump blocked veterans on Twitter after they criticized his Muslim ban. Will Trump destroy the dollar? How a clash with the Fed could stoke inflation and destabilize the economy. Trump administration scraps new protection for endangered whales, sea turtles. Trump administration says financial watchdog agency should be defanged. Surest sign the agency is effective.